Any patient who is required to stay in hospital for any length of time is likely to feel vulnerable and concerned about their health. The UK health service is regulated and governed by stringent health and safety measures for the protection of patients, staff and visitors. Part of the hospital’s legal obligation to all is to minimise the cause, development and spread of infections through the adoption of secure and thorough hygiene methods. Unfortunately, infections can spread rapidly through hospitals as there is constant movement, poor immune systems and multiple surfaces that are touched on a regular basis. 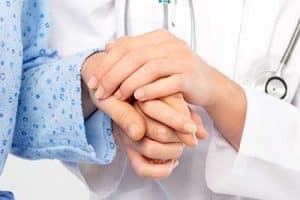 Hospitals try to combat the spread of infection through antibacterial cleaning and several safety measures, but the impact of a hospital acquired infection can be significant and can seriously affect a patient’s ability to recover and have a substantial detrimental impact on their confidence in care. The National Institute for Health and Care Excellence (NICE) estimates that around 300,000 NHS patients acquire a hospital based infection each year. How do hospital acquired infections occur? When germs, bacteria and infections are found in a hospital, they can rapidly spread to patients because those staying in the hospital are likely to be more vulnerable and have weaker immune systems. Some patients may suffer from open wounds and struggle to fight away any foreign bacteria. The main cause for the spread of hospital acquired infections is usually skin to skin contact, either with other patients or medical staff who are carrying the bacteria. The above may all be a form of medical negligence if it results in a patient suffering from a hospital infection. If it can be proven that the hospital was at fault for you contracting an infection, you should be entitled to make a claim for injury compensation. What are the symptoms of a hospital acquired infection? The symptoms that you suffer will vary depending on the type of infection that is acquired, and can also vary from patient to patient. If MRSA is not promptly diagnosed and treated, the condition can develop into a worsened skin condition called cellulitis. This condition can present the symptoms above at extreme levels coupled with severe discolouration and swelling. If either of these conditions remain untreated, patients can suffer from further illnesses and conditions including blood poisoning, septic bursitis, septic arthritis and infection of the heart lining called endocarditis. If you or a loved one has been impacted by the effects of MRSA and would like some additional help or support, the charity MRSA Action UK is a great source of information. C.Difficile, also known as Clostridium difficile or C.diff, is an especially dangerous infection as it can be very difficult to kill the bacteria that causes it. This means that the risks of contracting and spreading infection are high as the bacteria can survive on surfaces for months. Fortunately, C.Difficile does not normally pose a considerable risk to healthy people, but in hospitals, where sick and weak people are trying to recover, this infection can have devastating results. In a weak immune system, the bacteria can rapidly multiply and cause significant damage in the patient’s gut. Repeated incidences of diarrhoea which can often contain blood. It is not unusual for patients with C Difficile to have at least five bouts of diarrhoea a day. More severe cases can increase to fifteen times per day. If C.Difficile is left untreated, the colon might become significantly damaged and inflamed leading to a condition called colitis. This can result in worsening degrees of the above symptoms and substantial suffering and pain for the patient. According to the Office for National Statistics (ONS) C. difficile was the cause of 1,646 deaths in England and Wales in the year 2012. Hospitals are not always liable for the infections that you may have acquired as an in-patient. To prove liability, it must be demonstrated that the hospital that you stayed in breached their duty of care to you and did not take adequate action in order to prevent you acquiring an infection. The hospital is further obliged to treat you and prevent further spread or additional infections from being contracted during your stay. If the hospital fails in this obligation, they are likely to be found liable for your suffering and you will be eligible to make a claim for clinical negligence compensation. Our solicitors are highly experienced in successfully building and presenting cases for hospital infections such as MRSA and C.Diff. We would be happy to discuss your specific circumstances during a free consultation, where an experienced solicitor can determine if you have a valid claim, how successful your case is likely to be, and how much compensation you can realistically expect to receive. The amount of compensation awarded to you will greatly depend on upon the severity of your suffering and any long lasting impact on your life. The more severe your symptoms and the greater the effect this has had on your life, the larger the compensation sum is likely to be. In addition to receiving a sum based on the illness you have suffered from, you would also be entitled to claim for any financial losses linked to your illness. For example, you may have lost wages from having to take time off work to recover, or you may have had to pay for taxi fares to transport you to and from medical appointments. All of these costs can be recovered as part of your claim, as you should not be left out of pocket due to the negligent actions of a third party. Our solicitors work with commitment and determination to ensure that you receive the highest compensation award possible and in doing so, minimise future risks for other patients. Compensation claims against hospitals will highlight risks and vulnerabilities that should then be addressed, resulting in greater patient safety in the future.